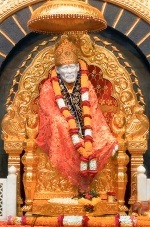 Two main road routes from MUMBAI to SAIBABA TEMPLE in SHIRDI are discussed below. Both routes are along excellent roads (for most of the way), making this a pleasurable ride. ROUTE 1: MUMBAI to SHIRDI Via GHOTI: This the BEST ROAD from Mumbai to Shirdi. Travel on the Mumbai-Nasik NH3 from Mumbai to Thane to Shahapur to Ghoti. From Ghoti turn right to Sinnar and finally Shirdi. By travelling on the Ghoti (Ghoty) – Sinnar bypass, one can avoid the traffic jam at Nashik city. ROUTE 2: MUMBAI to SHIRDI Via NASHIK: Mumbai – Nashik NH3 from Mumbai to Thane to Shahapur to Ghoty to Nashik. From Nashik take the Pune highway to Sinnar and finally Shirdi. Problem with this route is that one has to enter Nasik where a large NH3 bridge is being constructed. This causes traffic jams leading to waste of time. Assuming journey starts from Dadar, take the Sion road and arrive on the Eastern Express Highway. Follow the Eastern Express Highway to Thane. 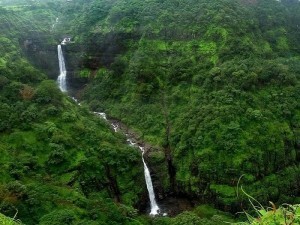 Beyond which it merges into the Mumbai – Nashik National Highway (NH) 3. Travel on the Mumbai-Nasik NH3 till “Ghoti” (also called “Ghoty”). On the way, you will pass Shahpur, Kasara Ghat and Igatpuri. DO NOT ENTER GHOTI town since it has narrow roads. Just 1 km beyond the diversion that leads to Ghoti, the road splits into two. Ignore the straight road, which goes to Nashik and take the road on the RIGHT which is the “Nagpur – Aurangabad – Mumbai” highway road. There are clear road signs on the highway, so you will not miss this road. Take this excellent two lane road till you reach Sinnar on the “Nashik Pune”. The beautiful, scenic “Ghoty – Sinnar” road has hills and lakes all around and is dotted with wind energy farms. From Sinnar, go east (right) on State Highway (SH) 39 up to Shirdi. The first one third of this road is an excellent 4 lane road; the next one third is a narrow 2 lane road in poor condition; and the last one third up to Shirdi is a good 2 lane road. Expect traffic jams as you near the temple. There will be many shop agents offering parking. The author suggests that you take one of them aboard since they can take you to a parking spot near the temple. NOTE OF CAUTION: Kasara Ghat section before Igatpuri has dense fog, especially during night/early morning and during the rains. Please be extra vigilant since visibility is poor. Fortunately the road is in one direction. The reason why this route is less preferred to the above Route 1 is because firstly one has to travel into Nashik town. Secondly, there is a big NH3 bridge being constructed on this road in Nasik. Because of this construction, the road has become narrow and there is debris along the road. During daytime, with trucks and heavy traffic, this road is very crowded. Once the bridge is complete, this route will improve. Starting from Dadar go to Sion and get onto the Eastern Express Highway till Thane. From Thane follow the straight NH3 up to Nasik town. Along the way, you will pass Shahpur, Kasara Ghat, Igatpuri and Ghoti. At the “Dwarka Circle”, take a 90o right turn under the bridge. This is the “Pune Road”. This is a good 2 lane road, but with a lot of traffic. Travel on it till you reach Sinnar. From Sinnar, go east (right) on SH 39 till Shirdi. The first one third of this road is in excellent condition, second one third is in poor condition; and the last one third entering Shirdi is in good condition. 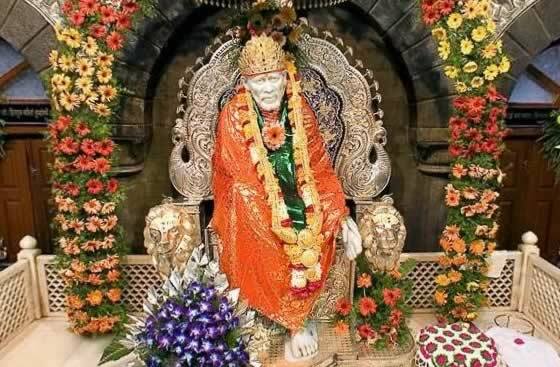 What is the Best Time to Travel from Mumbai to Shirdi? The author suggests that one should start the Mumbai to Shirdi road trip between 2:00 am to 3:00 am in the morning. This way one can miss all the daytime traffic of Mumbai and one can reach Shirdi by 7:00 am. Please beware of the DENSE FOG at the Kasara Ghats during night time. The earlier one reaches Shirdi, the lesser the time to gain Darshan at the Saibaba shrine. TIP FOR FAST SAI BABA DARSHAN: If you are travelling with a SENIOR CITIZEN, please carry their photo identification. The senior citizen and his/her companions can get special passes for Rs 100, which will allow them to directly enter the main Sai Baba temple where the Saibaba statue is placed. You can avoid waiting in the long line for Sai Baba’s Darshan.